From Connery to Brosnan, baccarat was the game of choice for the fictional British Secret Service agent and now you can find it right here at WinStar World Casino and Resort. The object is to be the closest to 9 after the hands are dealt. Numbered cards are face value; tens and face cards have a value of zero and aces have a value of one. If the sum of the two cards is greater than nine, then you simply take the last digit as the value for your hand (a sum of 12 is valued at two, a sum of 15 is valued at five and so on). The most important decision you have to make is whether you’re going to bet on the player, the banker or a tie. You place a bet on the player. Four cards are dealt. The player receives a king and a seven. The banker receives a six and a five. Because the player’s sum is seven and the banker’s sum is 11 (for a value of one), your bet wins and you’ve doubled your money! To make the games even more exciting, Studio 888 offers studio baccarat and card roulette. These two games support a game configuration in which a single dealer can deal the game of baccarat and card roulette to many players simultaneously. The standard rules of baccarat and card roulette will apply. The number of players is only limited by the number of game stations deployed on the casino floor. Players are able to sit at individual game stations and use cash or slot tickets for their buy-in. 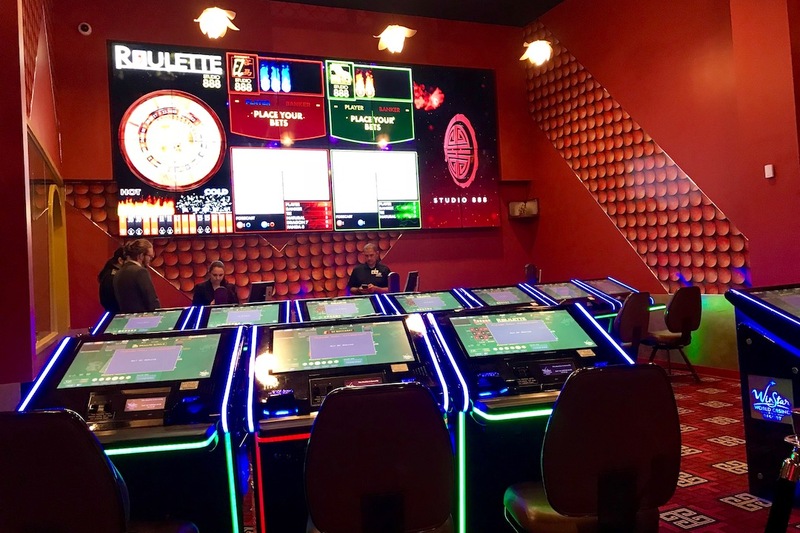 Each game station includes a touch-screen monitor that allows the player to place bets on all standard wagers associated with baccarat and card roulette as well as side bets (if applicable) and see all cards dealt. The ETG station allows the player to view the hand live as it is dealt. With games this accessible and exciting, there’s no reason to not expand your gaming horizons with a visit to Studio 888! Book your next stay and catch the thrill of studio baccarat and card roulette the next time you visit! Where Will You Be When We Ring in 2019?Winning with a New Website!